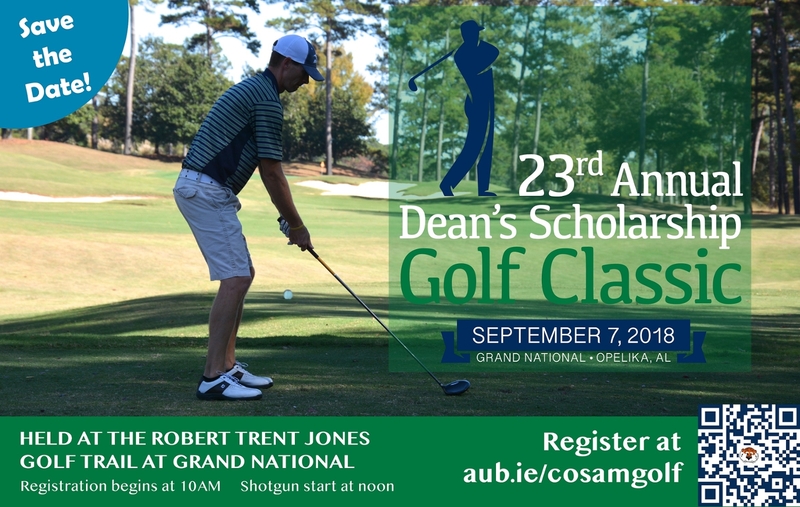 More than 65 COSAM students have received scholarships since the tournament’s inception. This year, two students, Madeline Farmer and MiKaela White, will receive scholarships to help them further their education. “Participants enjoy an incredible day of golf and help support the college’s mission by encouraging students to pursue their goals through the assistance of a COSAM golf scholarship,” explains Tammy Hartwell, development manager. Register online to participate in this year’s tournament: aub.ie/cosamgolf. The day begins at 10 a.m., followed by a noon shotgun start. In addition, the silent auction runs concurrently with bids accepted all day. You can also make a difference by contributing to the tournament’s silent auction. Contact Fran Harvey in the Office of Development to learn how you can donate.